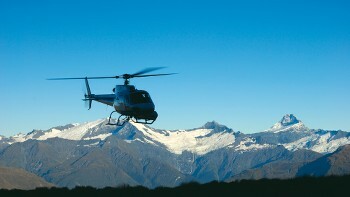 Thank you for choosing to explore New Zealand’s landscapes with us. 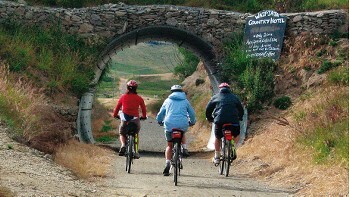 Adventure South NZ offer more supported trips along more of the Nga Haerenga Cycle Trails than anyone else. Travelling along a dedicated Cycle Trail is a great introduction to cycle touring with shorter, less demanding and very affordable options. We offered our first cycling trips in 1992. 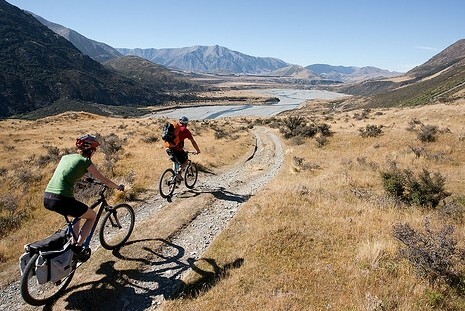 As a result, our knowledge of the routes and secret NZ wilderness spots are second to none. Our experienced team in Christchurch takes care of all of the logistics, ensuring you enjoy a seamless adventure in New Zealand. 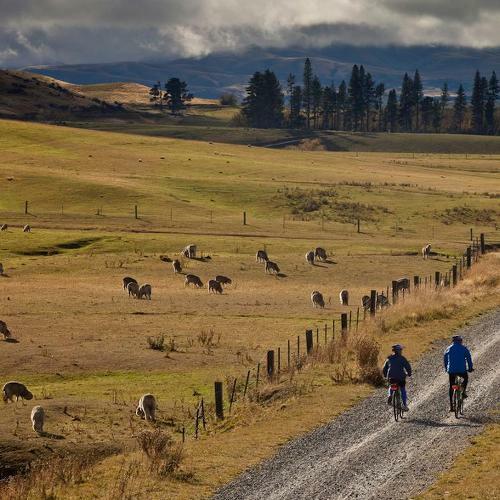 Our tours range from introductory walks and cycles to multi-activity trips and even the toughest guided walk in New Zealand. 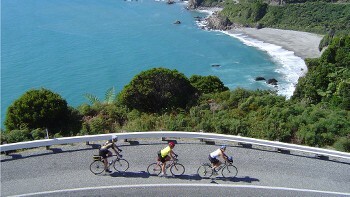 Keen cyclists need look no further; our road touring trips are ideal for those who relish greater distances and don't mind occasionally sharing the road with traffic and tackling a hill or two. 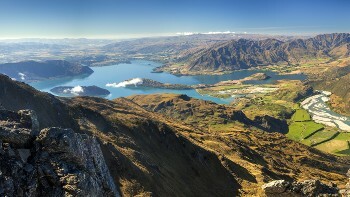 No one offers a more comprehensive range of quintessential Kiwi destinations than we do. From the magic of the mountains and vineyards of the South to the volcanoes, geothermal regions and Maori culture of the North; we explore both islands and everything in between. Hotels offer twin share accommodation with either en-suite or shared facilities. They are well located and have been chosen for their reflection of local character. Stay with a Kiwi families in idyllic remote farm locations and learn more about the local lifestyles and landscapes while being spoiled by sumptuous homemade meals. Some trips stay in environmentally sensitive lodges or semi-permanent structures that extend sustainable creature comforts thanks to the sun and the rain. Meals are prepared from quality local produce and enjoyed with excellent local wines. Spend your nights at sea in well-equipped, twin share cabins. Depending on the vessel, ablutions are either shared or en-suite. Rossco loves all things sporting and the great outdoors, encompassed with an appreciation of photography and wine. 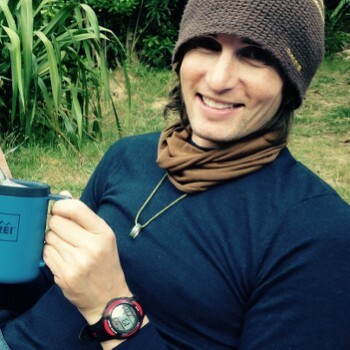 His interests include multi-sport, sea kayaking, hiking and biking as well as discovernig new places. Between tours he can be found with his 'waterfront apartment', also known as a campervan, at the Marlborough Sounds. Liam graduated university with a degree in Criminology, hung that expensive piece of paper on the wall and immediately pursued his career in the outdoors. 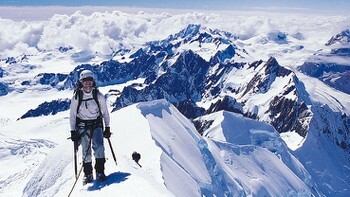 He worked as a guide in Canada before making the move to New Zealand. While guides whitewater rafting, sea kayaking, mountain biking and cycle tours, his favourite activity is being on the bike. 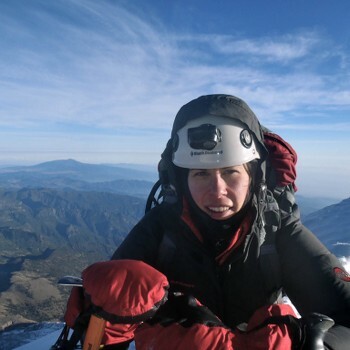 Ange began her guiding career in her home of Colorado, in the highest peaks of the Rocky Mountains. She has since made the Southern Hemisphere her home, guiding in both New Zealand and Australia. She is fortunate enough to share her passion for mountain climbing and road cycling with her husband Peter. 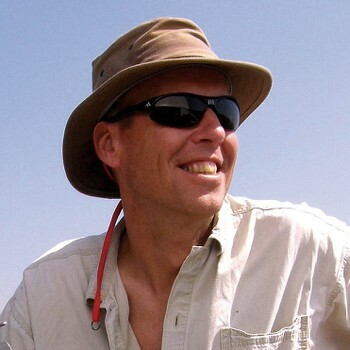 Guiding allows Steve to continue his lifelong interest in the outdoors including mountaineering, tramping, skiing, fishing and cycling. When he's not guiding he is still lucky enough to be working outdoors in his own beekeeping business. 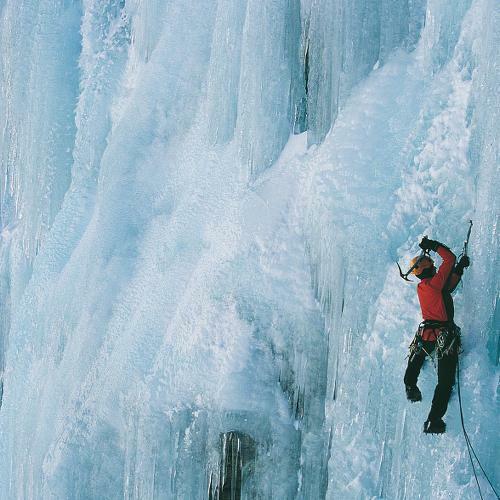 Steve's overseas travel includes trips touring Europe and climbing in Tibet, Nepal, Chamonix and the Italian Alps. 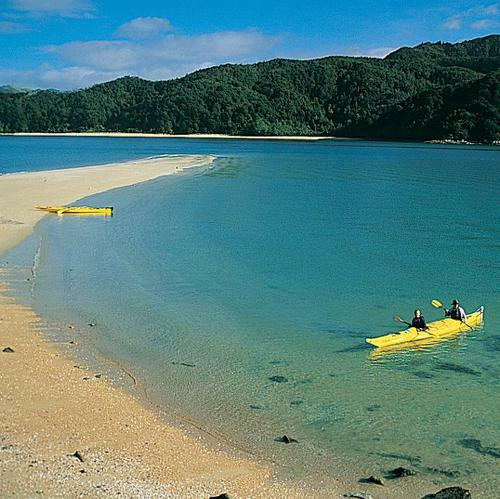 As a general rule, November to April are the most ideal months for travelling in New Zealand’s stunning outdoors. 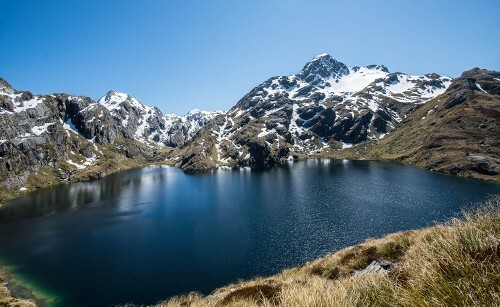 One of the most important things travellers need to know about the New Zealand climate is that it’s a maritime climate, as opposed to the continental climate typical of larger landmasses. Thanks to its position in the path of the ‘Roaring 40s’ and mountainous terrain, New Zealand’s weather can frequently change with amazing rapidity. Because the weather can change so unexpectedly you should be prepared for sudden changes in temperature and weather conditions. This basically means having a good waterproof jacket and some warm clothing. You don’t need to bring your winter wardrobe but a good fleece/jumper and good thermals are a must. 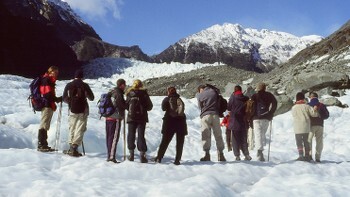 The temperature during the South Island summers range from 10-30 ºC, with a pleasant 40- 50% humidity. Higher altitudes are always considerably cooler and snowfall is not uncommon even in summer. The Southern Alps act as a barrier to the moisture laden winds coming west across the Tasman Sea, creating a wet climate on the west side of the mountains and a drier climate on the east side. The geography also creates a wind pattern, which can in summer be very hot, dry and fierce. Maximum temperatures we may encounter range up to 30°C. Minimum temperatures expected in the Southern Alps in Summer time are around -5°C. Weather is an integral facet of any mountain range and getting to understand and work with this major environmental factor is what will make you more prepared for your tour – any questions about what to expect on your tour talk to one of our sales team. New Zealand has 3 official languages: English, Maori and New Zealand Sign Language. New Zealand’s multi-ethnic society means that around 150 additional languages are spoken by different communities. Maori language takes its roots from Eastern Polynesia, however, following settlement in New Zealand by Polynesian groups from the 13th century, Maori developed as a unique language distinct from other Polynesian languages. At the time of New Zealand’s 2013 Census, there were 148,395 Maori language speakers. Maori language is spoken mainly in the North Island, where the bulk of New Zealand’s Maori population resides. There are opportunities to change money at banks during the tour or you may wish to change it when arriving at the airport. In some of the rural areas that we visit there aren’t any banks and sometimes when there is a bank it could be shut when we arrive. ATM machines are widespread throughout New Zealand, except when travelling through rural areas such as the West Coast. Visa and Master card are the most widely accepted credit cards and we would recommend them for most expenses. American Express has limited use in NZ and it is only accepted in some centres. A currency converter you may find helpful is www.xe.com. Electricity in New Zealand is 230 Volts, at 50 hertz. The most common pin type is I. (Aust - 3 flat prong).